The shortlist for the Gemmell Morningstar Award for 2018 has been announced. The Morningstar Award is for the best debut fantasy fiction. Now, I’m not usually one for reading award shortlists, but this year it turned out that I’d already read three of the five shortlisted, and had one on my shelf. It’s a very strong year! 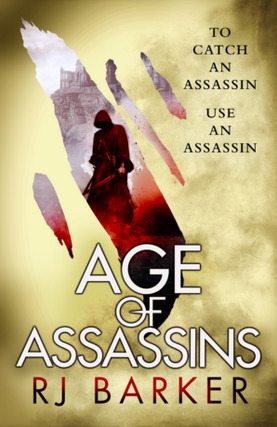 First up is RJ Barker’s Age of Assassins. Regular readers of this blog will know just how much I love this book (reviewed here, and featuring on my books of 2017 list). It’s got everything. Skulduggery, great characters, and more to the point interesting characters doing interesting (though often unpleasant) things that actually make you care about them, a tightly-crafted plot (involving the aforementioned skulduggery) and some quite gloriously gritty worldbuilding. It’s superb. This was the one I had on my shelf, sadly neglected for entirely too long (its sequel, The Defiant Heir has also turned up) much to my chagrin. I took the opportunity to bump it to the top of the TBR pile and I’m very glad I did. Lady Amalia Camaro is a splendid character, matched only by her Falcon, Zaira. Plots within plots abound as she’s drawn into the political machinations of the empire. Splendid stuff indeed! Coming in closely behind RJ’s Age of Assassins on the infamous Books of 2017 list we find Kings of The Wyld (reviewed here). Dear reader, I did what we are implored not to do. I judged it by its cover. 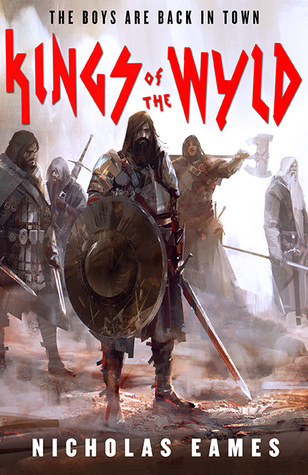 More specifically, I judged it by its title (the cover is awesome), the ‘Wyld’ made me think of the terrible fantasy epics of my youth and Wyld Stallyns from Bill & Ted. Oh how wrong I was. How very, very wrong. Kings of the Wyld is, quite simply enormous fun. Clay Cooper, determinedly helmetless member of the Watch, returns home to find his old mate Gabe with one last job: Let’s get the band back together and go on a quest to find his daughter on the other side of the world. It’s only a thousand miles through a monster-infested forest. Should be no problem. What follows is a splendid rollercoaster of the most rollicking kind, with a grand smörgåsbord of beasts and monsters, evil villians, ex-girlfriends, former managers, relentless bounty hunters and what will soon become your favourite wizard since Gandalf (or Rincewind, depending on your literary tastes), Moog. Kings of the Wyld has a simply delicious premise – what if the bands of adventures were treated as rockstars, with bookers sorting out gigs to clear out a horde of goblins, or dealing with an infestation of kobolds? Clay’s band really do get back together (one even wields an axe) and go on one final world tour with the action cranked firmly up to 11. It’s an epic quest which simply rattles along, putting our ageing heroes with their sore backs and gammy knees through trials and tribulations one after the other until the grand finale. Superb entertainment. Another which I read fairly recently. Having seen Ed McDonald at Gollanczfest I quickly snapped up a copy of Blackwing, but then things got in the way and it languished on my shelf (well, my Kindle) for months. The Misery is a superb invention, the Darlings are deeply creepy, and Galharrow is someone you definitely want on your side when the proverbial hits the fan. Looking forward to picking this one up soon. Having read four of the five now, it was a very hard choice. I’ve put my vote in, and you can vote here. Have you read any of the shortlist? Which one takes your fancy, which one gets your vote? 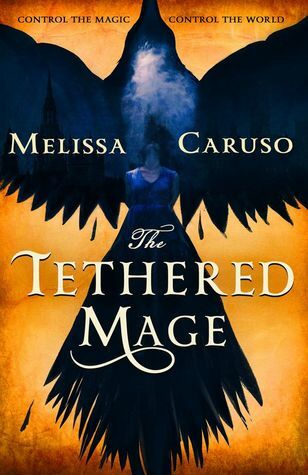 I read Age of Assassins, The Tethered Mage, and Blackwing. I have copies of Kings of the Wyld and The Court of Broken Knives. I really wanted to get to them before voting closed but things got crazy. 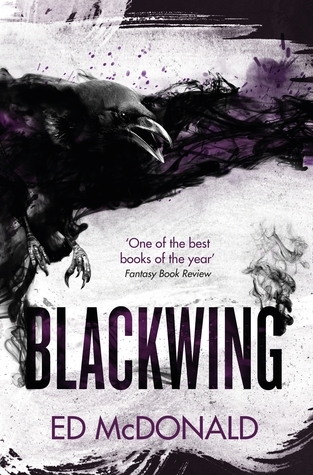 But I doubt either will exceed Blackwing in my estimation–Blackwing was one of my very favorite books from last year. It’s a tough call, they’re all really good. 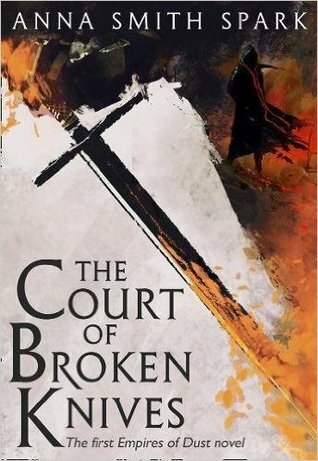 Highly recommend KoTW, and I’m looking forward to picking up a copy of The Court of Broken Knives (hopefully this weekend at Edge-Lit). My money’s on Age of Assassins, but they’re all great books.